We work with people working to change the world … and seeking to liberate themselves in the process. We have all been short-changed, if not outright harmed, by the many injustices and inequities in our society. Those of us who have been marginalized by race, class, gender and other forms of oppression. And, yes, even those of us who have been advantaged by how history has situated us differently. Impacted by dynamics of power and dominance, everyone’s integral well-being and development has been thwarted: our sense of self has been distorted; our sense of purpose, unclear; our inner being in search of alignment with our deepest values and highest principles. This balance and harmony, the very qualities we seek to foster in our social and environmental justice work, are all too often not present in our own lives. Nor are these strong within our organizations and movements. No surprise there. The urgency of our people’s struggles tend to occupy virtually all our time and our attention, leaving little energy to tend to the critically important inner dimension of well-being—the dimension of being that, consciously or unconsciously, guides how we do our work. The dimension within that can reveal whether or not we are “walking the talk” and “practicing what we preach.” If we are, or not, putting our critical consciousness into action in all aspects of our lives. 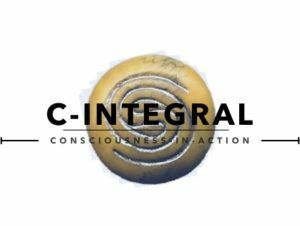 c-Integral offers programs and services to community leaders, organizers and activists, helping professionals, educators and others concerned with social justice and cultural transformation. 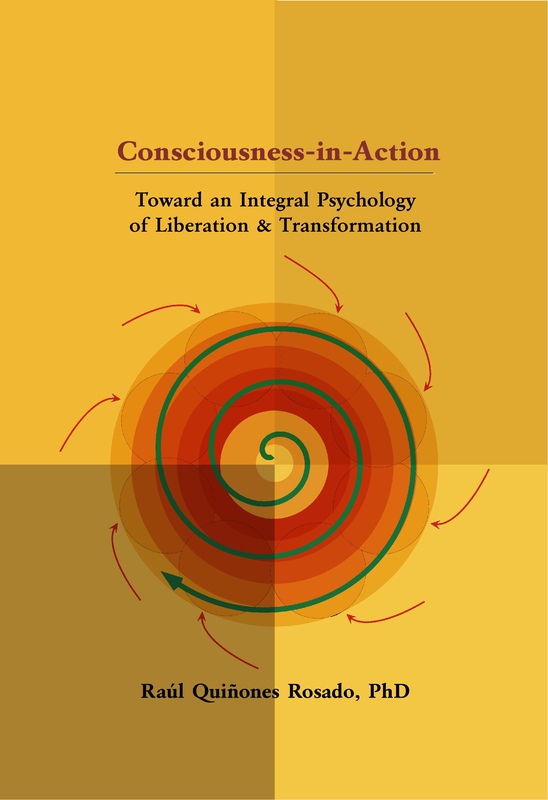 The work of c-Integral is based on the consciousness-in-action framework and approach to liberating transformation developed by Raúl Quiñones-Rosado, PhD and colleagues. 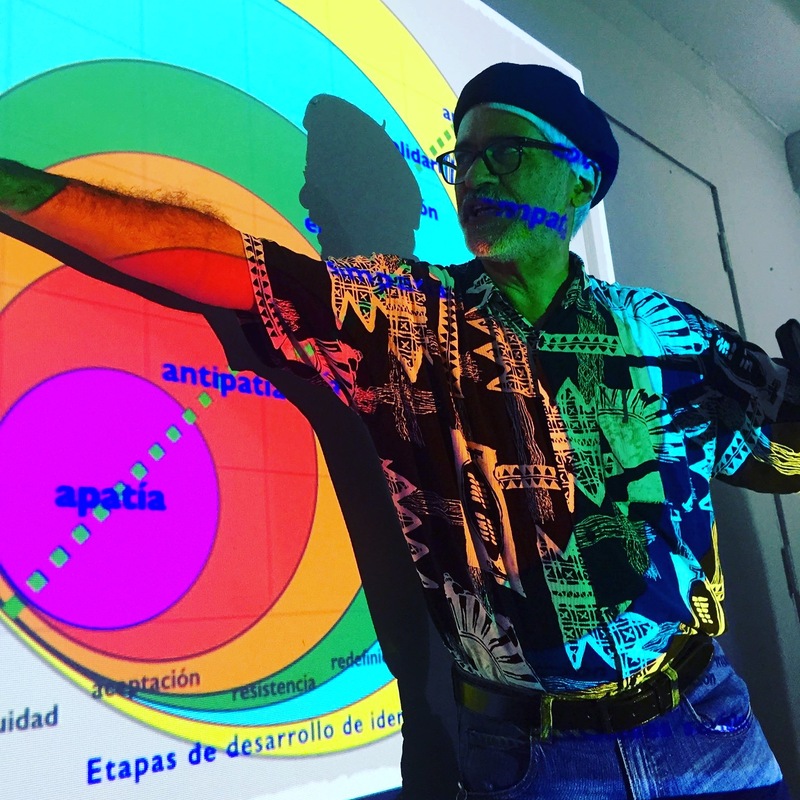 This decolonial approach to integral change is rooted in pan-American models of pedagogy, psychology, philosophy and ethics of liberation, informed by transpersonal and cross-cultural studies, and matured by over 30 years of experience in antiracism and other social justice movements in the United States and Puerto Rico. Promote a deep understanding of the complexities of race, class, culture and other social identity issues, and the impact of social power dynamics on our lives. Instill principles and practices that foster greater balance and harmony between often conflicted aspects of self, community, and society at large. Enhance leaders’ ability to effectively address conflict and complexity, to recognize and embrace multiple perspectives, and to fluidly shift between these as appropriate. Teach liberatory and transformative processes that allow people to move beyond defensive reactivity into intentional response, visionary action and pro-active leadership. Encourage attitudes, values, states of being, discipline and ethical behaviors that, practiced in community, foster a greater sense of hope, possibility and collective strength toward social transformation. Support the emergence, refinement or deepening of personal meaning, larger purpose and shared visions. Foster greater levels of integral well-being and on-going evolution into more advanced stages of development. Integral change through the consciousness-in-action approach allows practitioners to more authentically and ethically engage their circles of influence and, therefore, to be better able to provide responsive and pro-active leadership that fosters racial equity, gender equality, economic justice and a deep transformation of culture. Current c-Integral workshops — Identity, Power and Integral Change and Latino Challenges Toward Racial Justice — are offered in locations throughout the US and internationally, and are initiated, organized and hosted by local organizations and community groups. Self-in-Socierty Synthesis coaching sessions are conducted by phone or via Skype. For information on hosting one of our workshops in your community or organization, as well as for one-on-one coaching, please e-mail to schedule an exploratory phone conversation. c-Integral LLC is a Latino-owned social enterprise based in Greensboro NC.